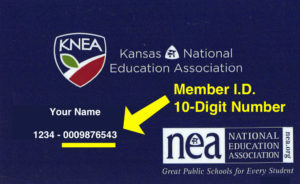 KNEA’s Teaching and Learning program provide members with representation at the state and federal levels in matters of professional evaluation, student assessment, curriculum, and more. KNEA & NEA offer a website to help you with great ideas cultivated by your peers. Check out http://supported.nea.org/ to access resources and submit your own great ideas. NEA’s EdCommunities platform is an excellent way to connect, collaborate and share. It’s like Facebook for educators.